Last week SC was giving away a pair of super cute shoe clips from Shoeclips.biz. Well, we have a winner. There is only a few weeks until Christmas and I have the perfect stocking stuffer for you, shoe clips. Shoe clips are an inexpensive gift to give to someone at the office, a friend who loves shoes, or to keep for your self. The good people over at ShoeClips. 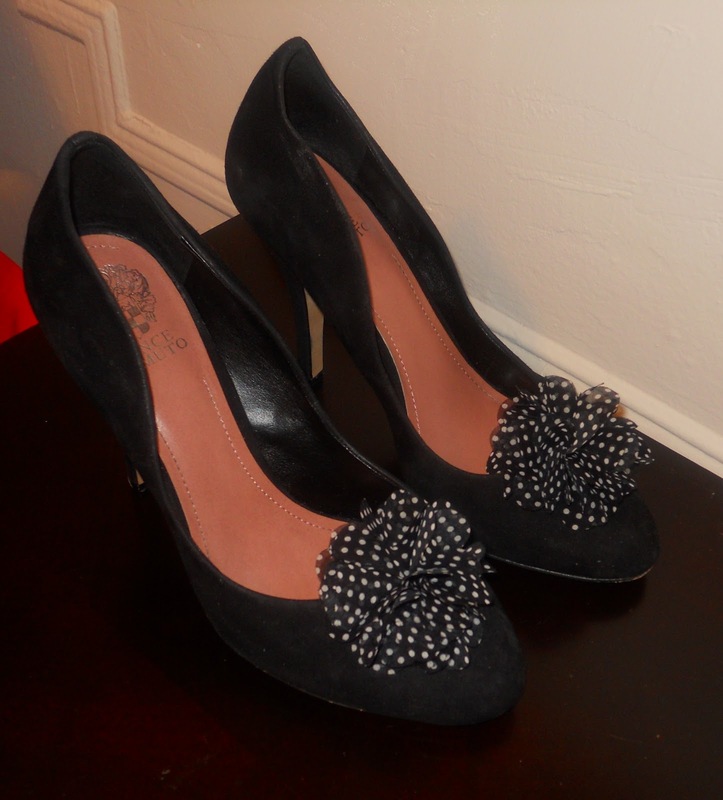 Biz was kind enough to send me a pair of their super cute shoe clips to tryout. Being that I love shoes I thought this would be a perfect item to update some of my solid colored shoes. 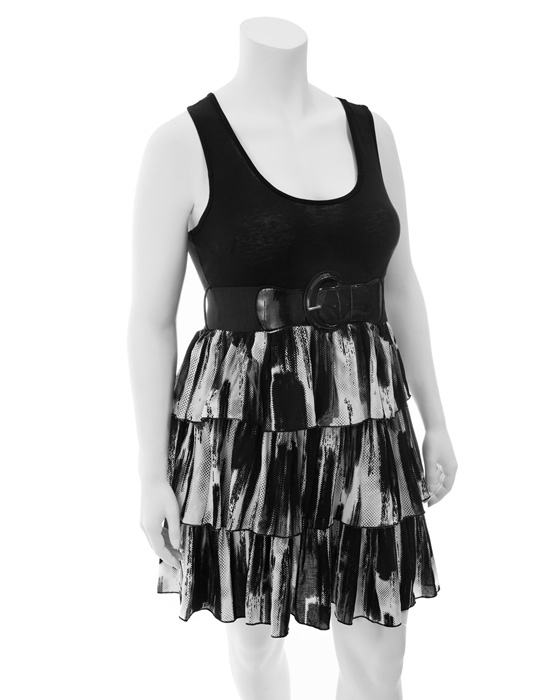 I chose the black and white polka dot chiffon clips because they were so adorable. What I love about shoe clips is that they instantly take a bland pair of shoes to a WOW! pair of shoes. 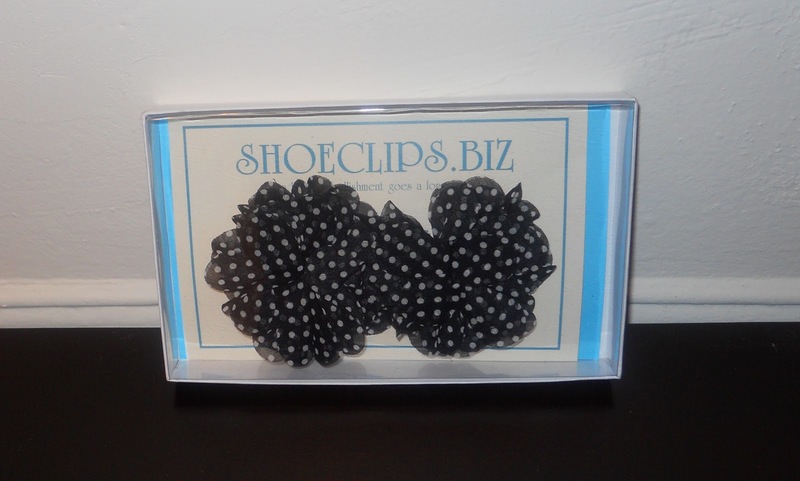 Shoeclips.biz has a large assortment of shoe clips that work for any occasion and any one’s personal style. 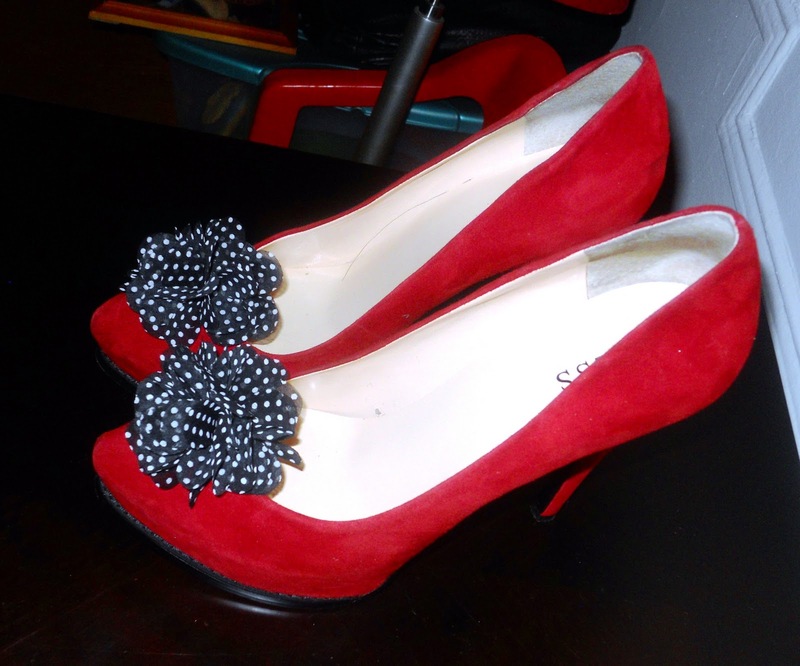 They have rhinestone, animal prints, fur, and bow clips to jazz up any pair of shoes you have. Their site is pretty easy to navigate through. You can shop by color, style, and price on their website. 3. For additional entries you can retweet, post on FB, or on your blog this giveaway. To count your additional entry please comment on where you re-posted the giveaway.